Well, simply put this is quite possibly the most amazing bike I've ever owned!!! 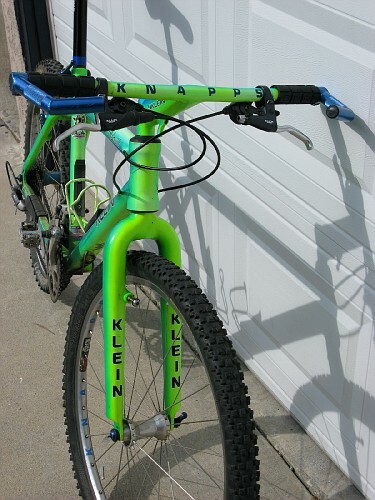 The 1992 Klein Adroit with a matching MC1 bar/stem combo and the fabulous Strata fork. It really doesn't get a whole lot better than this. 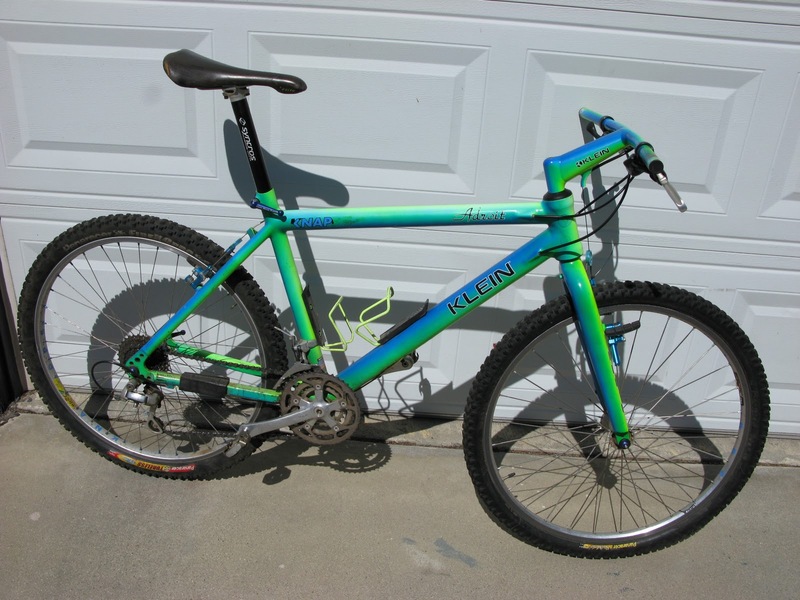 The Adroit was Klein's halo bike and is considered among many enthusiasts the most coveted rigid mountain bike, period. 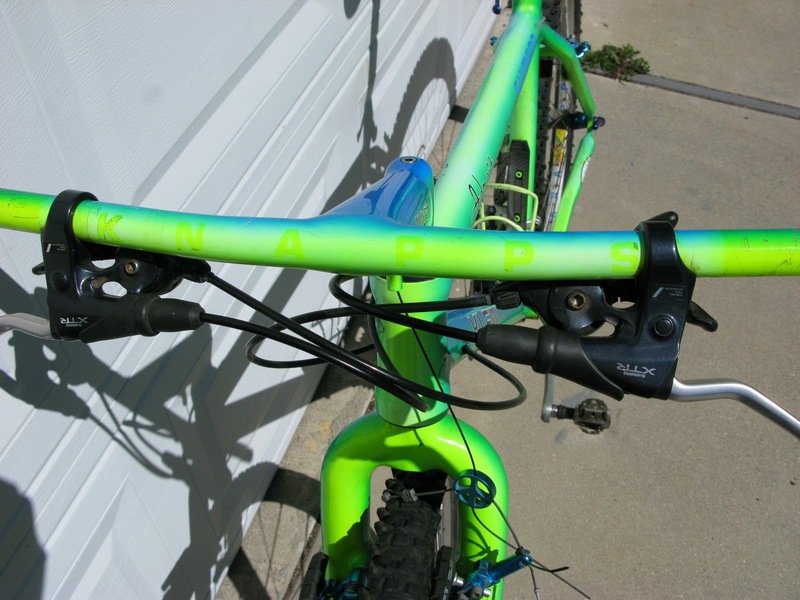 There are of course many-many other equally amazing bikes out there, but for some reason if you mention an Adroit with Strata fork on any of the VRC forums people virtually turn their heads. The Strata fork is really what sets this bike off and makes it so special!! 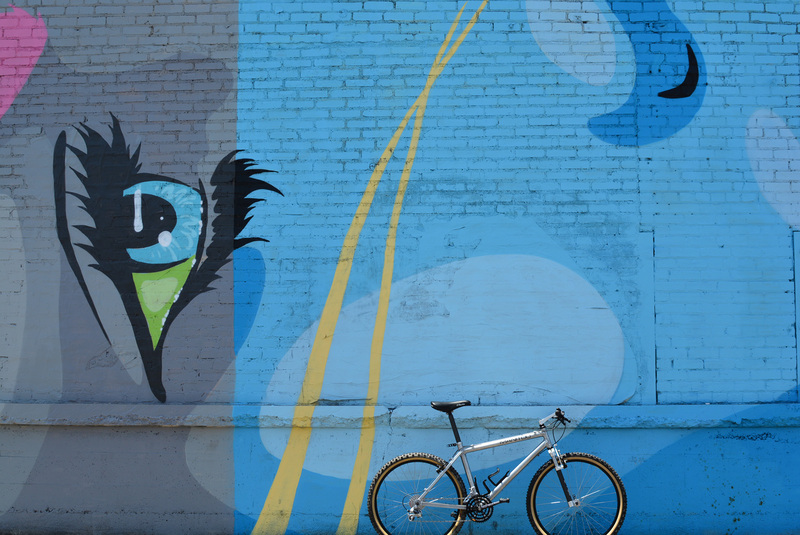 The Strata uses larger diameter tubing than the standard Uniklein fork offered on the Attitude which makes it both lighter and stiffer. To add a little strength and provide some vibration damping Klein applied Boron Carbon Fiber panels to the crown area. 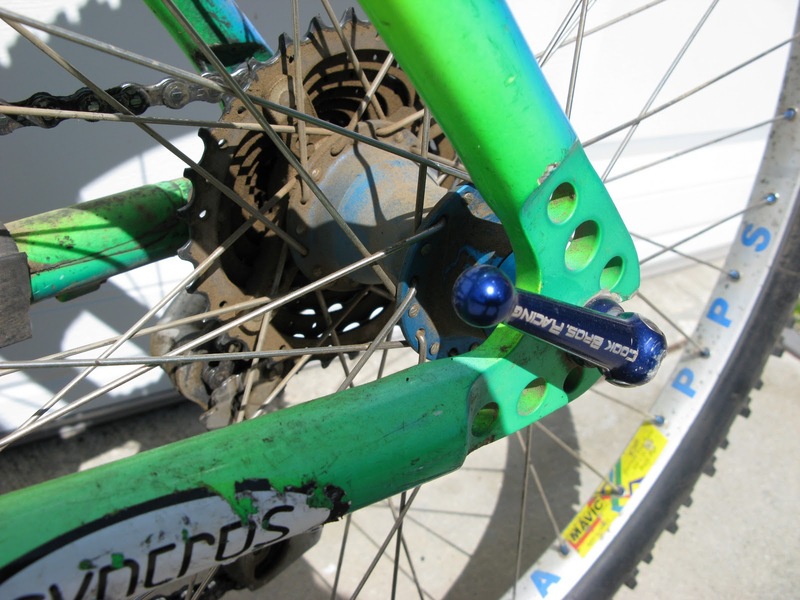 The same treatment is applied to the seat stay on the Adroit frame. The Adroit first came out in 1991 following the success of the fuselage concept debuted by on Attitude model. The major differences between the Adroit and the Attitude were the Adroit's 2" oversize down tube, larger top tube, larger 1 3/8" seat tube to accommodate the 31.6mm seatpost, Strata fork, Boron Carbon-Fiber applied to frame and fork and lastly the drilled out drop outs. All these features resulted in a lighter and further stiffer fuselage. This bike is absolutely amazing. Even thought it's been ridden hard and put away wet it's still ready for more punishment. By today's standards the bike is definitely no the cutting edge. Lack of any suspension, disc brakes and other modern innovations make it seems a little archaic. However, the ride is really something else - if you're in the mood to have your fillings shaken loose that is. It is stiff and uncompromising, on a long downhill you hands feel numb and your body works extra hard to absorb the onslaught of shock and vibration. However, as soon as you point it up a hill all your work and energy are effortlessly translated into forward motion. The Adroit is a very nimble and capable climber. It's taken me a very long time to find this bike, they are rarer than hen's teeth and this one will be staying with me for a long time to come!! Send that baby over to John Rock at kleinspainted.com in England for a repaint... too bad those old klein paint jobs tended to fade.